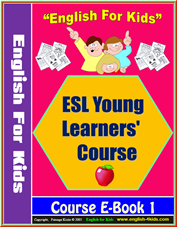 English for Kids - Book 1 Unit 4 - Numbers - How many? This unit offers lesson plan resources for teaching kids how to count from 1 to 10 and also how to ask about numbers using the phrase: How many? The resources include: a suggested lesson plan, Powerpoint presentations, Flashcards, Video Slideshow, PDF Worksheets and more. Numbers 1 cup : Use this worksheet to practice handwriting, reading and reinforcing the words learnt. Numbers 2 pandas: Use this worksheet to practice handwriting, reading and reinforcing the words learnt. Numbers 3 kites: Use this worksheet to practice handwriting, reading and reinforcing the words learnt. Numbers 4 bears: Use this worksheet to practice handwriting, reading and reinforcing the words learnt. Numbers 5 balls: Use this worksheet to practice handwriting, reading and reinforcing the words learnt. Numbers 6 apples: Use this worksheet to practice handwriting, reading and reinforcing the words learnt. Numbers 7 rabbits: Use this worksheet to practice handwriting, reading and reinforcing the words learnt. Numbers 8 turtles: Use this worksheet to practice handwriting, reading and reinforcing the words learnt. Numbers 9 cows: Use this worksheet to practice handwriting, reading and reinforcing the words learnt. Numbers 10 dogs: Use this worksheet to practice handwriting, reading and reinforcing the words learnt. Numbers missing letters spelling: Use this worksheet to practice handwriting, reading and reinforcing the words learnt.